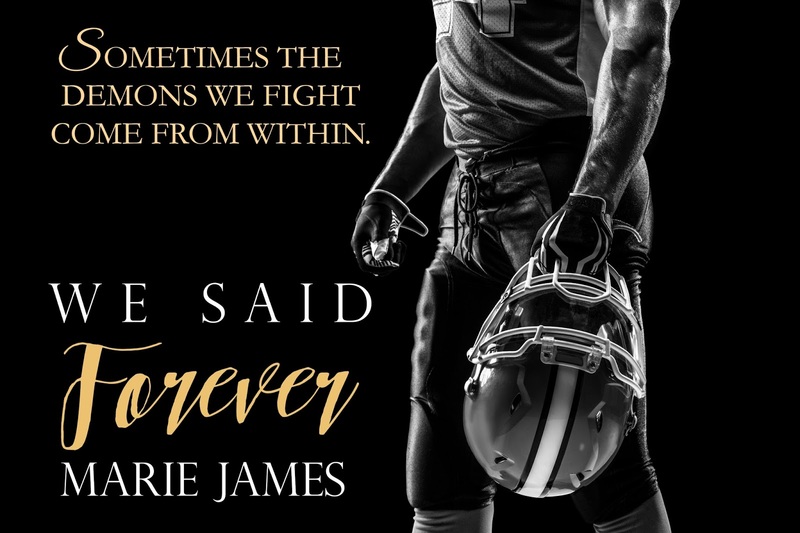 We Said Forever is the first book that I have read by Marie James and it will not be my last. I loved this book so much. It was emotional, intense and at times raw. I sat down on my couch and devoured this book in one day. I could not put it down, I hated to let go and say goodbye at the end. From the first sentence to the very last I was completely captivated by the story, the writing and the characters. What an emotional journey it was but so worth it. Blaze is a college football star who has had a pretty crappy life. His childhood was nothing to brag about, having two addicts for parents, but football was his life. He was determined to make something of himself and not fall into the dark hole that his parents fell into. He has it all, girls, friends, parties, a real chance at going to the NFL. He never really thought of love or relationships until Fallyn walked into his life. From the moment he laid eyes on her he knew she was something special. He knew that she was it for him. Fallyn has a hard time trusting people and given Blaze’s reputation with the ladies she was determined not to give in, but Blaze wants her and he would do anything to make Fallyn his. Fallyn has her own past and because of that past she has not opened herself up to love. When she meets Blaze there is no denying how hot he is and the instant attraction and chemistry tells you how much she wants him. But she is so scared to go there with him. But at some point she just cannot pretend any more and gives in. Everything seems perfect for the two of them. They are happy and in love, until everything comes crashing down on them, leaving you to wonder if they will ever be able to make it out. I don’t want to give any of this story away. I will say what I loved about was how real it was. While Fallyn and Blaze may have experienced a little bit of insta-love it was completely believable and in no way over the top. But it was what came after that felt so real to me. They had so many ups and downs, so many struggles and it all happened over time. They didn’t wake up one day and everything was miraculously ok. They had to really fight for it, for them. I loved Blaze and while I hated some of his decisions I still hurt for him. Fallyn was a loveable heroine. She was so loving and very forgiving. At times I wanted her to wake up and see what was going on. In no way did I fell like she was a doormat because I think it was the amount of love and trust that she had for Blaze that caused her to forgive so quickly. She believed in him so much and it was her love and passion that she had for him that gave her the ability to do that. 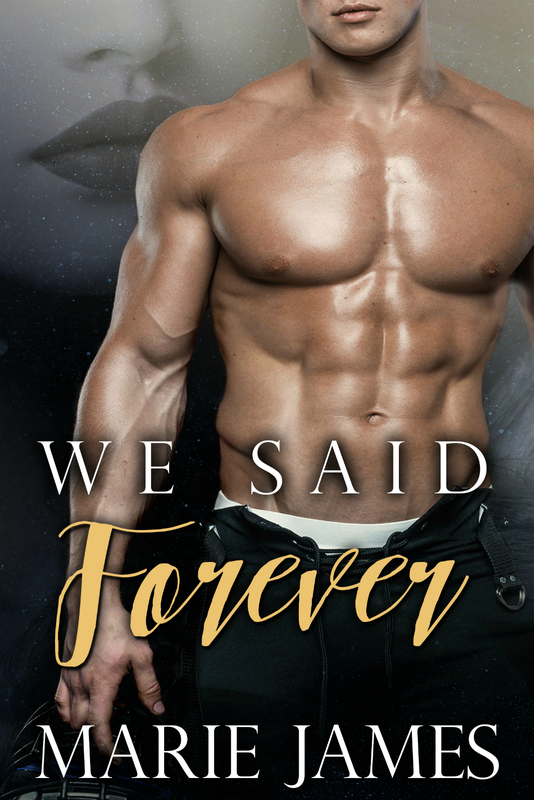 We Said Forever was a beautiful and emotional story. For a good portion of this book I felt like I was holding my breath while reading, waiting for that very last sentence before I could let it out. Because at times I was so unsure where their story would go. I was so afraid of what could come next. 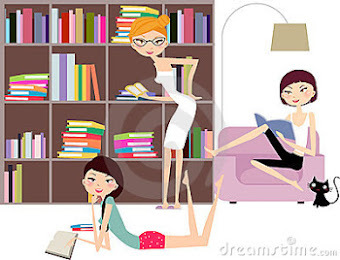 There were times when I wanted to skip ahead because I just couldn’t bear to wait any more. But I didn’t I kept reading, holding my breath, while my heart continued to beat faster. My emotions were so up and down, happy, sad, frustrated, scared, hurt and relieved. Every emotion that Ms. James made me feel, was well worth it in the end. What a fantastic story that I cannot say enough about. I look forward to reading more from this author.